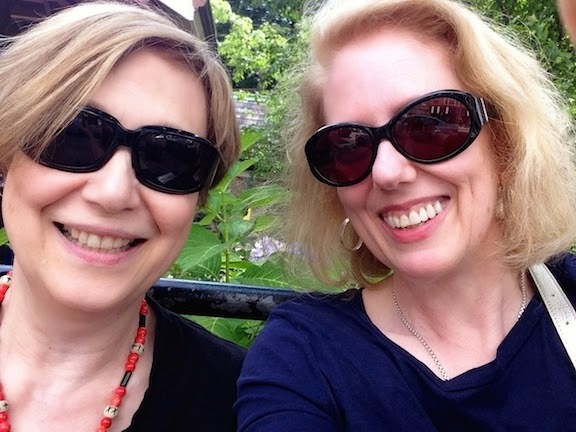 Two Nerdy History Girls: Where do dukes come from? The Peerage is tricky, even for the British. I often quote Whitaker’s Peerage: “The rules which govern the arrangements of the Peerage are marked by so many complications that even an expert may occasionally be perplexed.” For a blog post I have to keep to very general terms, and ask you to bear in mind Whitaker’s observation. Exceptions abound. In a nutshell, the sovereign bestows the title—and a dukedom is not frequently bestowed, as my post about dukes points out. The name following the title is a place name, usually one with which the duke is associated. 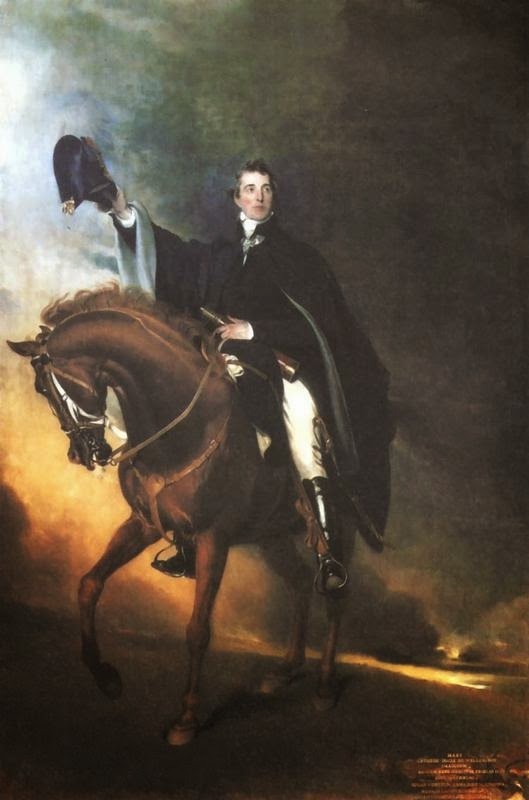 For the Duke of Wellington, this was Wellington, in Somerset. Does he earn his title? That depends on your definition of “earn.” The 1820 Annual Register, listing members of the peerage, includes a column explaining the reason the title was bestowed: Court Favour, Family Influence, State Service, Naval Services, Military Services, Diplomatic Services, Legal Services, Marriage, Influence of Wealth. Interestingly, the column is blank for dukes except Leinster and Wellington: Military Service. This and royal favor seem to be the main reasons for dukedoms. As we’ve mentioned on this blog before, King Charles II made several illegitimate sons dukes—e.g., of Monmouth, Cleveland, Grafton, Northumberland, St. Albans, and Richmond—as well as restoring or creating some for favored courtiers. For more details, you might want to peruse Whitaker's or read the Wikipedia British Peerage entry. courtesy Wikipedia. 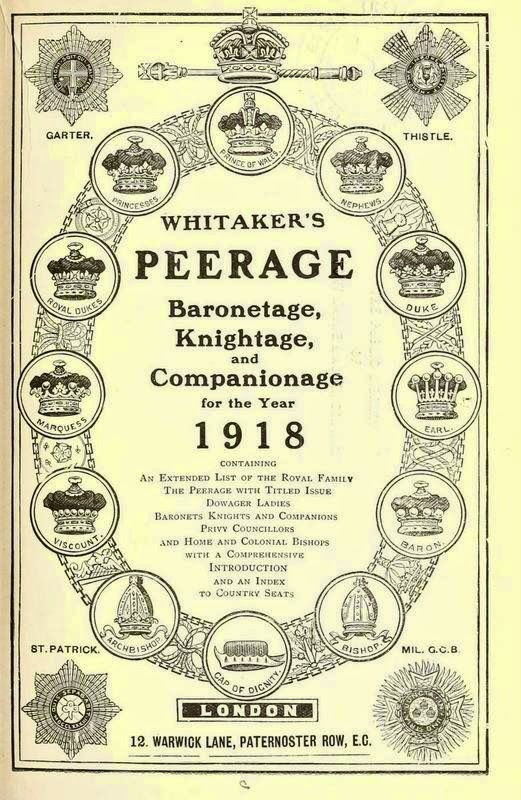 1918 Whitaker's Peerage cover courtesy Internet Archive. Clicking on the image will enlarge it. Clicking on the caption will take you to the source page. Supposedly Winston Churchill was offered a dukedom; of course he was tempted since he revered his ancestor, who was made Duke of Marlborough after his military triumphs at the time of Wm and Mary and Queen Anne. He wished to stay in the House of Commons, however, so settled for becoming a mere knight. Google books appears to have all the Annual Registers exceot part I of the year 1820. It has several of part II but the index says the peerage is in part one. is the page showing the sources of the peerages available elsewhere on line? I am surprised more of the legal peer didn't have sons take up the wig and robe. The men who earned peerages fro military or naval success usually sent at least one son off to the army or navy. I heard that Sir Arthur was busy at war when he heard that he was to be ennobled. At first he was created a baron and a viscount. He had to choose a title as there already was a Lord Wellesley. His brother is said to have chosen the name of Wellington which is still a rather small place. Over the years, he was given many other peerages until he ended up a duke. It is said that it took him a whole day to have these officially bestowed on him when he returned to England. It was not usual for a man to be given money with a peerage. Regency Researcher, there's a link in the post to the 1820 Annual Register Part 1 online.